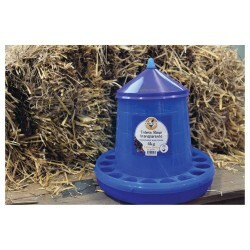 Sick of wasting feed due to spillage? This feeder is your solution. 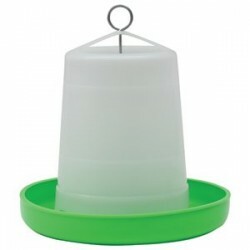 Designed for chicks and small birds, this feeder has 8 holes, with rounded and ribbed openings to help reduce spillage. The design also helps prevent feed overflow. The container holds 1kg of seed and screws securely into the feeder base. Supplied with high quality glass Mason jar with a 1 litre capacity. Saves the container from perishing in UV and allows the seed to be stored in an airtight container when not in use. Smallest size poultry feeder. Suitable for a small number of chickens or small birds. Heavy gal.. 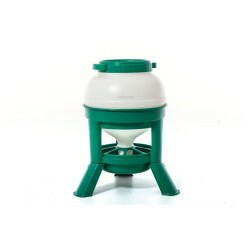 This is the well-proven Crown Green & White suspension feeder with the addition of a large coveri.. This light weight feeder is designed for use with small chicks, but could also be used to feed grain..
Sick of wasting feed due to spillage? This feeder is your solution. Designed for chicks and sm.. Feeding poultry greens means lower food bills spent on grains and pellets. It also supplies the pou.. 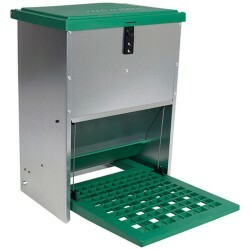 The food in this type of feeder is only available when poultry stand on the step plate. The feeder.. 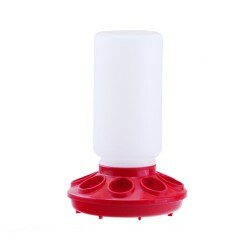 This feeder can be used in any conditions, indoor or outdoor. All zinc-plated steel, with weather-pr..
Tankstand-type feeder. 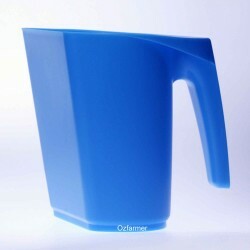 The hopper is removable for easy cleaning. It has a big 24cm-diameter screw ..
Why haven’t we seen these before? New from Chick’a (France). The feed left in this feeder is visibl.. Smallest size poultry feeder. Suitable for a small number of chickens or small birds. Heavy .. Stand up Feed ScoopHere is a feed scoop design that really works. The hard-corner flat rim sc..
Organic Animal Wormer / Insecticide / Molodri 25kg BagMolodri is a blend of liquid molasses and ..
Organic Animal Wormer / Insecticide / Diatomaceous Earth Fines 15kgDiatomaceous earth (diatomite.. 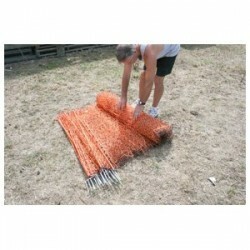 These quality baskets are designed especially for egg collection, allowing for easy cooling, washing..